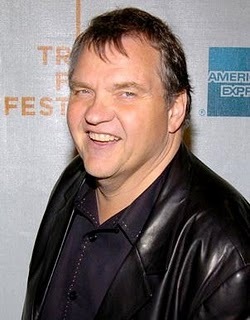 Grammy award winner Meat Loaf exploded onto the international music scene in 1977, with the release of his breakout album, Bat Out Of Hell, which has sold more than 43 million copies and is among the five top-selling albums of all time by any one artist. 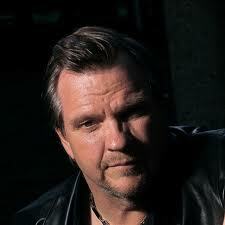 Celebrated as one of the most extraordinary performers of all-time, Meat Loaf has appeared on Broadway and appeared in more than 50 films and television shows. His most notable roles include Rocky Horror Picture Show and Fight Club. Starting February 13th, RockTellz & CockTails Presents Meat Loaf will launch its second stint of residency at Las Vegas’ Planet Hollywood. In support of his upcoming performances, Meat Loaf will head to New York City on January 27-29 to appear on The Today Show, Wendy Williams Show, Imus in the Morning, Showbiz Tonight, The Artie Lange Show, Dan Rather Reports, Access Hollywood, Bloomberg TV, The Better Show, ABC NewsNow / Entertainment Pop, FUSE News, among others before heading to Los Angeles on February 3-5. A high-energy live show, which the Las Vegas Review-Journal called “theatrical rock ‘n’ roll” and “a perfect blend of Vegas and Vegas-sized personality,” RockTellz & CockTails Presents Meat Loaf is comprised of a full-on rock concert, hit songs and intimate, personal stories of Meat Loaf’s celebrated and fascinating career. Grammy Award winner Meat Loaf will once again take audiences on a once-in-a-lifetime journey through his 47-year music, stage and film career in this over-the-top production show. Performances will incorporate Meat Loaf’s biggest musical hits like “I Would Do Anything for Love (But I Won’t Do That),” as well as “Paradise by the Dashboard Light”! Transporting his undeniable stage presence to the RockTellz & CockTails stage on the Las Vegas Strip, Meat Loaf will offer the audience a diverse and unique show like no other entertainer. The new 24-date run will kick off on Feb. 13 and run until April 8. Meat Loaf won’t be the only big name performer stationed at the Planet Hollywood venue. Spears kicked off her two-year Britney: Piece of Me residency at the same place on Dec. 27. Meat Loaf became a bit of a “meat laugh” after a video surfaced of him massacring “America The Beautiful” with an improvisation that turned Mitt Romney’s Ohio Gala into an ear bashing. The singer turned actor turned reality TV star was one of a few names up on stage to celebrate and encourage Presidential candidate Governor Romney as he attempts to take office in November. Meat Loaf fainted on stage during his Pittsburgh concert Thursday night, but that didn’t stop him from finishing the show. The 63-year-old was in the midst of singing “I Would Do Anything For Love” when he suddenly collapsed. 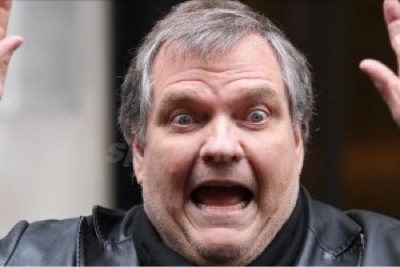 Paramedics rushed on stage and treated Meat Loaf for an asthma attack. Just 10 minutes later Meat Loaf was back to performing. “Like twice as many of you, I f**king fainted. I have asthma … I can’t breathe … and then … oh wait, I forgot … I got poked by a pin and bled half to death … and then I got slapped in the face and my tooth is loose,” he told the audience. Rocker Meatloaf: "Fame Frightens and Crushes Me"
Veteran singer Meat Loaf still struggles to cope with the glare of the spotlight, insisting he has to speak to his therapist daily because fame makes him “depressed and nuts”. The rocker, real name Marvin Lee Aday, shot to fame in the 1970s after releasing his Bat Out of Hell album but he still agonises over his celebrity more than 30 years later. And as the star prepares to embark on a new tour, he admits he has been turning to his personal counsellor on a daily basis to battle his feelings of depression. He says, “Fame makes me depressed. It drives me nuts… I also talk to a psychologist every day. I don’t know how else to deal with it. “I’m not Angelina Jolie or Brad Pitt who hang out where the paps (paparazzi) are going to find them. I hate fame, I wasn’t born for this. Meat Loaf, rapper Lil Jon and country star John Rich took over a pizzeria in New York as part of a TV stunt on Tuesday (Oct 19). The musicians were among the celebrities selling food and offering tunes and chuckles at Famiglia’s Pizza for what is believed to be an upcoming episode of Donald Trump’s Celebrity Apprentice show. Sugar Ray star Mark McGrath, David Cassidy and baseball star Jose Conseco were also part of the fun. According to onlookers, MeatLoaf manned the cash register and McGrath tossed pizza while the other stars drummed up business and urged customers to buy food as part of a charity drive.